Bronze plaques ~ custom design and accessory optionsavailable from J.H. Wagner & Sons. Photo technology has provided the opportunity to supply individually custom manufactured bronze plaques with the sculptured photo image included in the crafted bronze cast plaque. A few photo image quality requirements exist and the bronze plaque is custom designed, so the price range is higher than a standard inscription plaque. Speak to the staff of J.H. Wagner & Sons about the Lasting Memories range of bronze plaques. 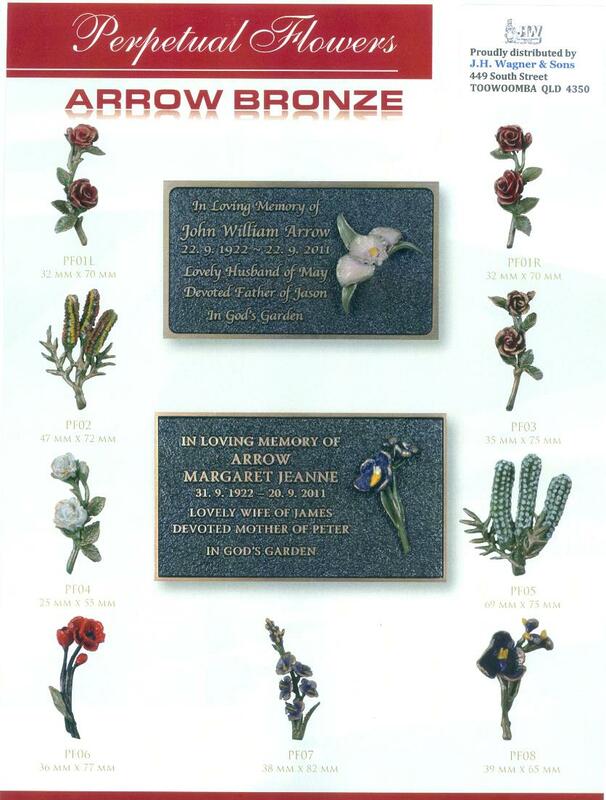 These bronze Perpetual Flowers are available as an accessory suitable for any Arrow Bronze plaques available from J.H. Wagner & Sons.